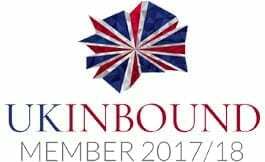 Oxfordshire will be bustling with all things Christmas this December 2017. From Christmas markets, pantomimes to light festivals, there is much to enjoy with the whole family and to have a magical day out (rain, shine or snow!). With so much going on, we have selected the top activities, events and even unique gift ideas for each day leading up to Christmas for you! If you are exploring our beautiful county this Christmas, please share your experiences with us on social media using #ChristmasInOx. We wish everyone a peaceful and joyous Christmas and hope you will have a memorable time in Oxfordshire! Looking for more Christmas fun? See what’s happening during 25 Days of Christmas in Oxfordshire 2018 – found here! 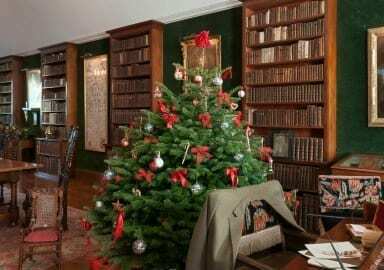 Start your Christmas festivities by experiencing an ‘enchanted’ Christmas at Stonor Park as the house will be completely decorated for the family Christmas and will be open to the public until the 10th of December from 10am – 4pm. Delicious Christmas food and drinks will be available at their vibrant café in the 13th century Hall, including festive turkey pies, shortbread, mince pies and mulled wine. Visit the Cogges Christmas Market in Witney this weekend from 10am – 4pm and explore over 60 stalls whilst listening to beautiful carols. Out and about in Oxford? 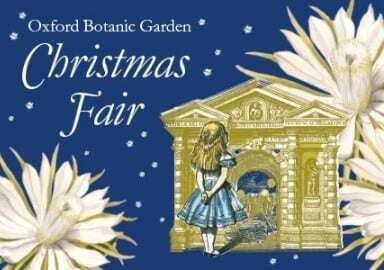 Then don’t miss the Oxford Botanic Garden Christmas Fair from 10am – 6pm and explore a wonderland of hand-picked gifts, artisan food and family entertainment; or the Abingdon Christmas Extravaganza from 9am – 6.30pm. 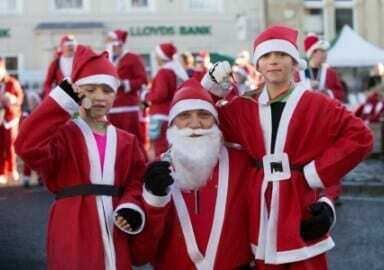 Join the Wallingford charity Santa Dash today at 11.30am and run or walk 3km from Wallingford School to the Market Place finishing in time for the Wallingford Christmas Shopping Extravaganza from 12pm – 5pm and enjoy a family-friendly afternoon ending with fireworks. Can’t make it to Wallingford? There’s a Carols Workshop at the Ashmolean Museum from 1pm – 4.30pm where you can join in to sing carols from the 18th and 19th centuries. 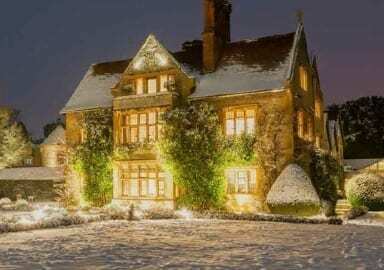 Enjoy a festive evening at Belmond Le Manoir aux Quat’Saisons. Their Christmas Carol Concert Evenings will be hosted by a well-known personality and will combine a feast of musical enchantment with all the delights of Raymond Blanc’s cuisine. Champagne Laurent- Perrier will be served on arrival before guests make their way to the neighbouring candlelit venue of St Mary’s Church for the evening’s performance. 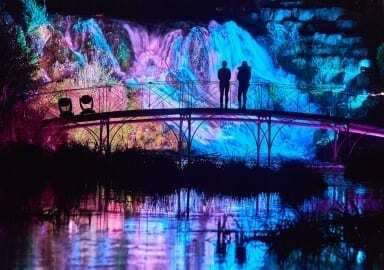 Head to Blenheim Palace for their Christmas at Blenheim event this year and see the Palace’s 2000 acres of ‘Capability’ Brown landscape and Formal Gardens be transformed into an illuminated wonderland! The magical trail will wind through the landscape, highlighting Blenheim Palace’s rich history, all with the magic and wonder of the festive season! Enjoy a sparkling new Christmas play for grown-ups at The Old Fire Station in Oxford – Working Christmas, created especially for Oxford! 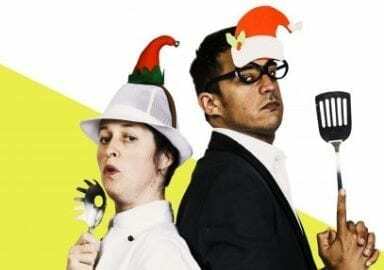 Featuring a stellar cast of actor-comedians Omar Ibrahim (Omar & Lee) and Perrier Award nominee Joanna Neary (Mitchell & Webb, Ideal), this show is stuffed full of love, songs and lots of silliness. The city of dreaming spires will again be filled with festive joy as the Oxford Christmas Market returns to the heart of the city from 7 – 17th December on beautiful and historic Broad Street. 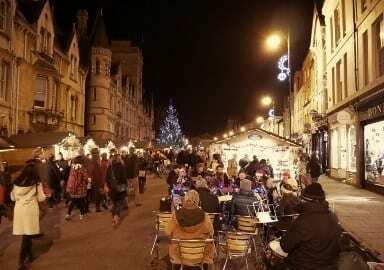 With the sound of choirs singing Christmas carols, market traders offering unusual gifts like Demijohn‘s artisan spirits, gins and liqueurs and handmade gifts, colourful decorations brightening wooden stalls and the aroma of mulled wine and cinnamon drifting in the air – a visit to the Oxford Christmas Market is a truly magical Christmas experience. 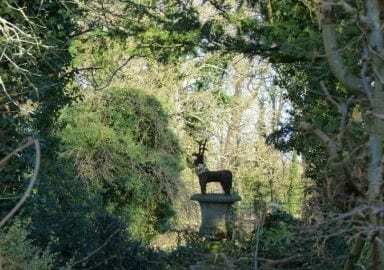 Santa’s helpers have gone missing and they’re all hiding at Batsford Arboretum! 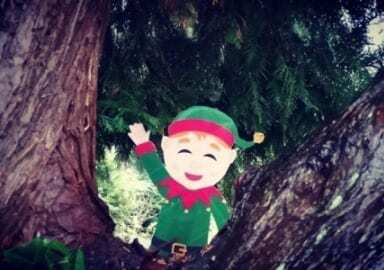 Join the Big Batsford Elf Hunt and find them all to win a prize, daily from 1st December to 5th January 9am – 5pm (from 10am Sundays). Once you’ve found all the Elves, head over to the West Ox Arts Christmas event running from 11.30am – 4.30pm at the West Ox Arts gallery to find beautiful handmade items that make great Christmas Presents. 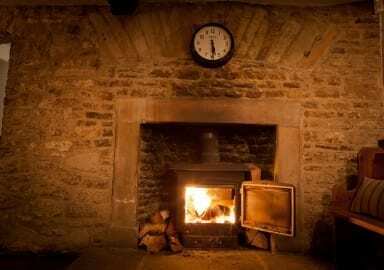 End the evening at Cogges with their Carols by Candlelight event from 6.30pm – 7.30pm. 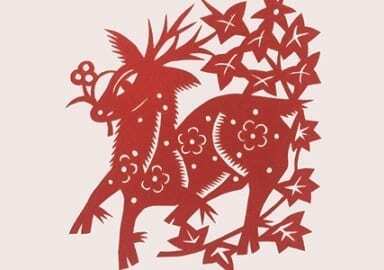 Spend a festive morning at the Oxford Botanic Garden making Christmas decorations from natural materials and then head to the Ashmolean Museum with the little ones for their Nativity: Christmas Story Paintings event from 2pm – 2.45pm & 3.15pm – 4pm for an afternoon of stories, gallery hunts, games and crafts; or to the Museum of the History of Science’s Stars and Planets event that will help kids follow their stars and make an amazing star dial or paper plate planetarium from 2pm – 4pm. This Christmas, The Story Museum invites you on a musical sleigh ride through story, with its festive show, Jingle’s Magic Sleigh. Come and hear what stories and songs Jingle gives Santa to cheer him up and help get him back to his Christmas post at 11.30am and 2pm. Stuck for what to get the kids or relatives for Christmas? 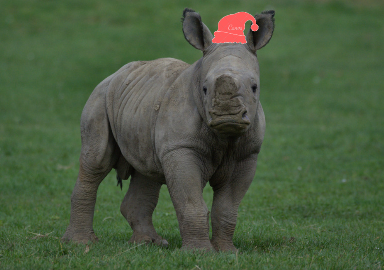 There are lots of species of animal at The Cotswold Wildlife Park that you could potentially adopt this year! 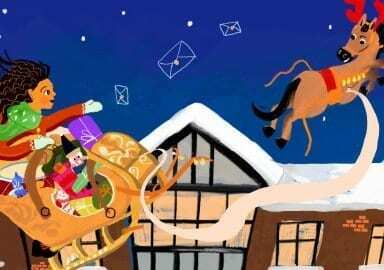 Order by 18th December for Christmas Delivery. In Oxford, the University Museum of Natural History takes a little look at winter animals with a guided walk to find out how animals cosy up for the winter from 10.30am – 11.30am. Get around this Christmas with Stagecoach! Leave your car at home and get there by bus by planning your journey online or on the Stagecoach Bus App. Enjoy a day out exploring Oxford with an Oxford Official Walking Tour or have a fantastic shopping experience at the new Westgate Oxford and head to the Ashmolean Museum in the evening for their Christmas concert from 7pm – 9.30pm. The British Collective at Bicester Village is a Christmas wish come true in the shape of a multi-brand gifting boutique designed by British interior designer and illustrator Luke Edward Hall! Discover a collection of the finest pieces providing a one-stop shop for gifts for all those tricky-to-buy-for friends and family for the festive season. 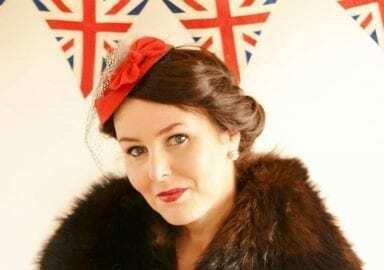 Enjoy an exclusive 1940s Christmas experience at Bletchley Park this December. Set in their historic Mansion House, gather friends, family, or colleagues and take part in the Codebreaking Dinner Party or discover the art and science of colour at the Bodleian Libraries in Oxford, with mini exhibition tours, pigment demonstrations and the neuroscience of seeing colour from 7pm – 9.30pm. Enjoy the third night free when you book a two-night stay at Oxfordshire’s premier foodie pub, The Killingworth Castle inn near Woodstock. The pub, once frequented by Winston Churchill, is the perfect base from which to explore Blenheim Palace, at its most magical in the run-up to Christmas. It’s also near Bicester Village to sort your Christmas shop in one fail swoop. 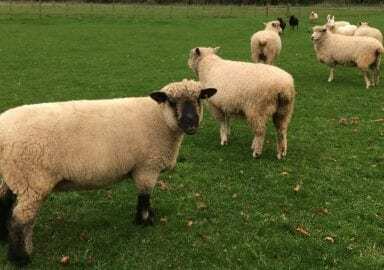 Get Tangled at Modern Art Oxford as they welcome two local sheep into the gallery for this fun family workshop all about wool or get all fired up at Oxfordshire Artweeks’ Ceramic Studio in King’s Sutton! 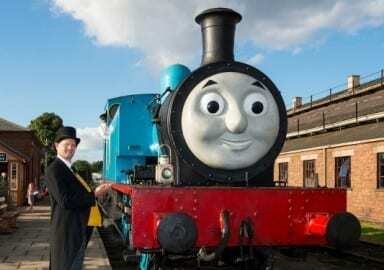 Have a day out with Thomas and meet Father Christmas at Didcot Railway Centre this December! Take a ride on Thomas the Tank Engine this Christmas to visit Father Christmas in his grotto and have a truly magical time with the kids. 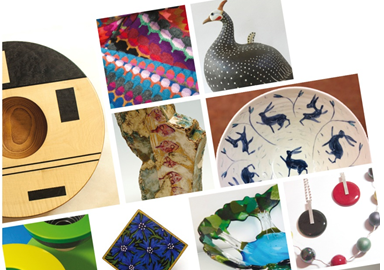 Head to the Oxfordshire Craft Guild Christmas Exhibition at the Oxfordshire Museum in Woodstock to get some unique quality crafts contemporary designs from over 30 Oxfordshire craftspeople! 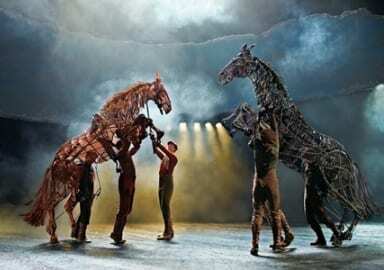 Following 8 record-breaking years in London’s West End and having played in 11 countries around the world to over 7 million people, the National Theatre’s acclaimed play War Horse will visit the New Theatre Oxford this Christmas. Help Rudolph find his friends who are lost all around the gardens at Waterperry Gardens and enjoy a fun day outdoors finding Santa’s Reindeer! Once you’ve found them all, you can collect your special Christmas prize! 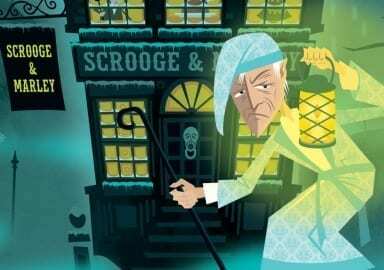 With misers, music, Marley’s ghost and all sorts of Creation Theatre Company twists, A Christmas Carol at The North Wall Arts Centre will be a show unlike any other! 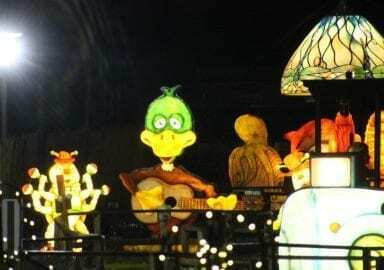 Take an enchanted walk in Fairytale Farm‘s magical wonderland of fairy lights, which will delight children and adults! The Mermaid Garden, Giant’s Camera, The Extinct Band, Giant Party Poppers, and Light Fountains will be a blaze of colour and the Hex Water Fountain will be lit in ever-changing colours. FEE-FI-FO-FUM, I smell lots of panto fun! 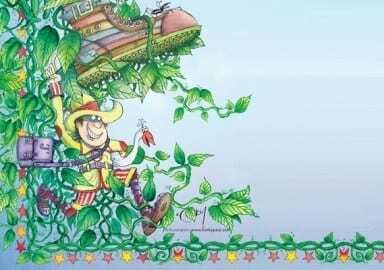 Scale new heights with Jack and the Beanstalk, Oxford Playhouse’s spectacular family pantomime. Join him on the adventure of a lifetime as he outwits the giant and is reunited with his childhood sweetheart Jill… all with a little help from his friends… and you, of course! Head to Eynsham Hall for their Christmas Casino House Parties! Whether with good friends or esteemed work colleagues, Eynsham Hall will lay on a party to get you into the Christmas spirit with a boogie with the boss or a flutter at the casino table. 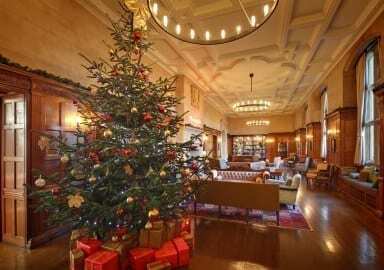 Celebrate Christmas at Heythrop Park Resort! Explore hidden treasures around their 440 acres by day and head inside for hot chocolate, catch ups, Christmas themed buffets and carvery – filled with delightful treats for all to enjoy – by night!